Next Thursday, July 31, is Mutt Day! 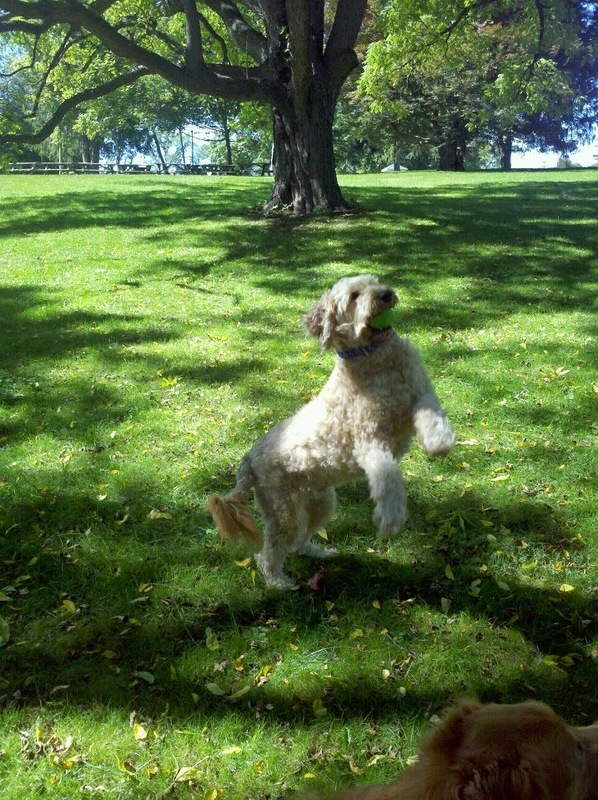 Murray qualifies...half poodle and half golden retriever!...but hey, lets celebrate all our pups, mutts or not! * They should want and encourage you to visit and meet your puppy's parents. * Puppies and dogs should be living at/in the house with the breeding family. * The breeder should decide with you which puppy would be best for you. * The breeder's house or kennel should be clean, dogs should be clean, active, properly fed and friendly. * Puppies should show comfort being handled. * The breeder should be an open book and willing to answer any and all questions regarding their dogs and the breed. * The breeder should willingly share health tests done (OFA and CERF). * There should not be over breeding. Females should not be bred more than once a year. * You should be interviewing each other. References should be available from both the breeder and the buyer. * It's also fairly common, and a good sign, if your breeder asks you to sign an agreement that you will return the dog to them if you should discover you can't keep it. This shows they want to re-home their own dogs instead of having them end up in shelters. I have three mutts! I will definitely be celebrating them! We will certainly celebrate Mutt Day. Have a wonderful Wednesday.